Verified on 3 Feb 2019! 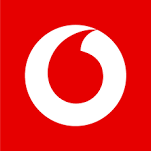 Vodafone is offering 2GB of internet service for free, once you upgrade to 4G. Checkout the landing page to get more information on this offer. Just Upgrade now and get the hot deal before it expires. Hurry up and activate the offer to enjoy the deal. Get Now! !